Here we go! The last set of new releases for October 2017. I love The DigiCrafter’s new kit. Just perfect for scrapping my grandson who is without a doubt a Daddy’s boy! He used his swim goggles for safety glasses to assist Daddy on a project. Isn’t he cute! Next up, Kimeric Kreations’ new kit is mostly neutrals with some bonus color elements. 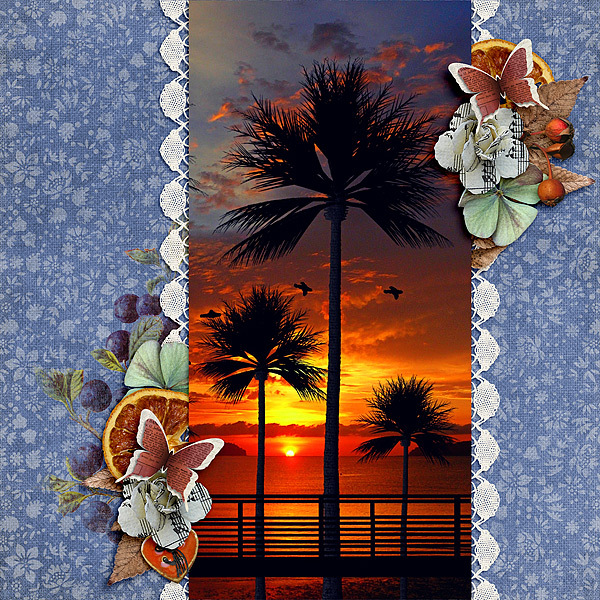 This layout is for the October Picture Perfect Challenge at The Digichick. Fun challenge! This entry was posted in Challenges, New Release, The Digichick on October 25, 2017 by Yobeth. I have three layouts today featuring October 19th new releases. 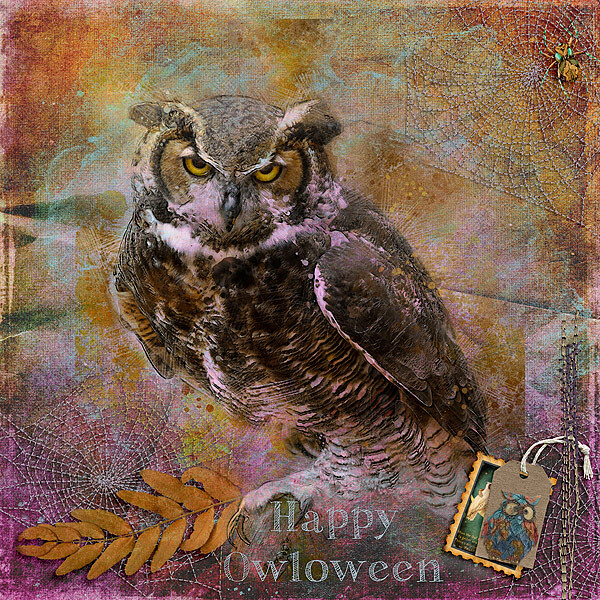 I think Kimeric Kreations’ new kit has some of the cutest elements for Halloween layouts. I mean look at that mummified pumpkin in the layout below. Too cute! The kit names below the layouts are linked to the store. I also used Kim’s kit to create this layout for the Tic Tac Toe Challenge at The Digichick. 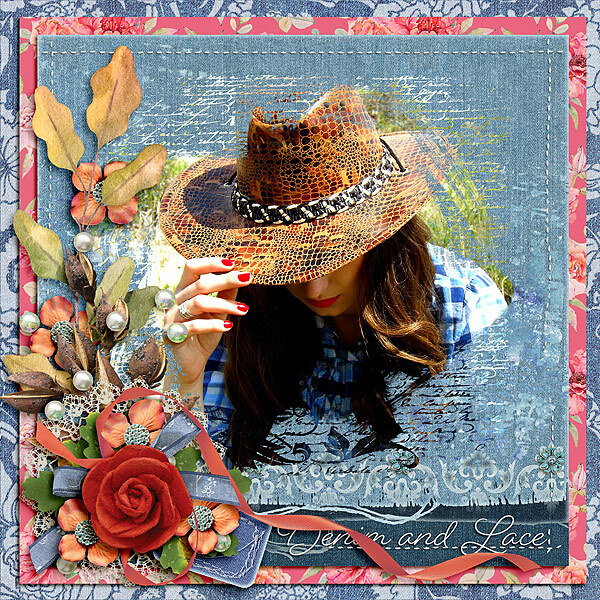 Finally, I love the denim papers and flowers in Alexis Design Studio’s new release. Gorgeous! No one does flowers and lace better, throw in some denim and wowsers. This entry was posted in Challenges, New Release, The Digichick on October 18, 2017 by Yobeth. The designers at The Digichick have been busy this week. In addition to new kits released, it’s also DSD weekend. So there are tons of games to enjoy as well. 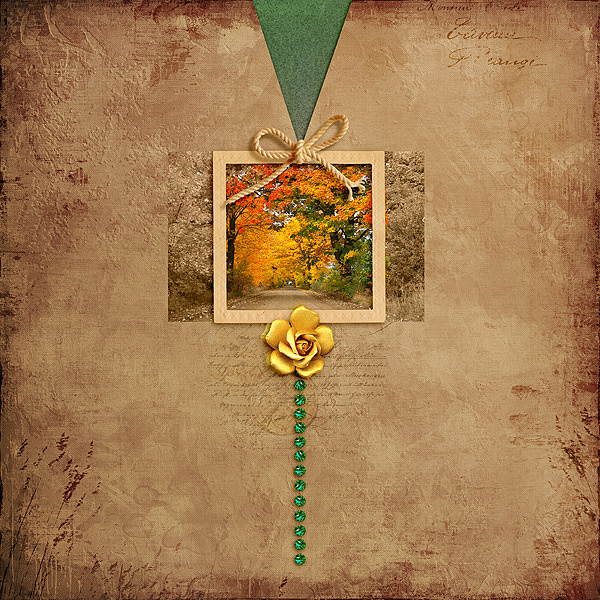 This week I played with Kimeric Kreations’ new release, Autumn Serenade. We don’t see many of the fall colors that are so popular in kits right now but Kim’s kit is very versatile so I created two very different layouts. 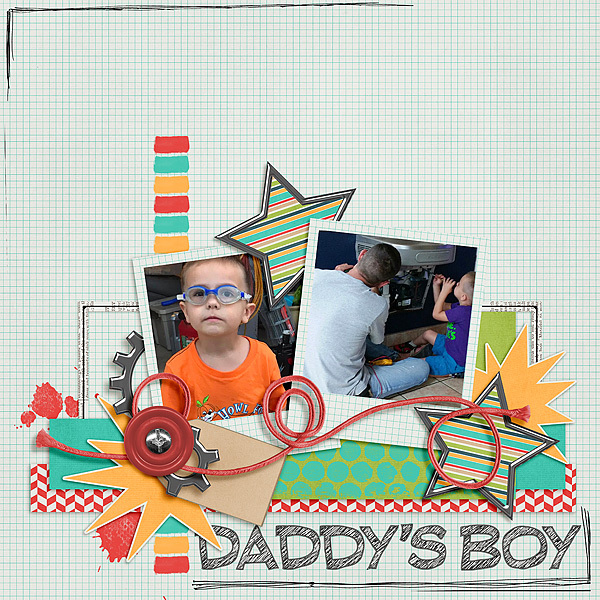 I created the next layout for the Mood Board Challenge at The Digichick. It’s actually one of my favorite challenges because it gives such free rein for the creative juices to flow. This entry was posted in Challenges, New Release, The Digichick on October 4, 2017 by Yobeth. Have you had a chance to check out the Give Me Space Challenge this month at The Digichick? This has become one of my favorite challenges and I love the extra twists added each month. This month it’s all about cutouts. I love cutouts and use them quite often so this challenge is right up my alley. If you want to give it a go you’ll find the GMS Challenge here. This entry was posted in Challenges, The Digichick on October 1, 2017 by Yobeth.